Wedding season is basically upon us, and one of the last things a lot of ladies will tackle are gifts for their bridesmaids. Today I’m highlighting five fantastic bridesmaid gift ideas you can nab in Canada. Enjoy! A monogrammed item is always an ace choice for your bridesmaids. These pretty display cubes are an elegant twist on a timeless tradition. Available in three sizes, I love the idea of showcasing some favourite pieces so you always have them on hand, or filling it sky high with glittering gems for a piece of dresser art. The tops can be monogrammed with your friend’s initial to make it feel entirely hers. As a bonus, include a piece of jewellery inside for a unique twist on a ‘gift box’. Speaking of things that sparkle…I’ve featured Magnolia Jewellery in the past, but thought it was worth mentioning again, as this is one of the largest suppliers of fine sterling silver jewellery in Canada (if not the world). With such breadth, the brand not only carries hundreds of different pieces, they offer really amazing prices for pieces that will last well past your big day. And they’ve added a bunch of new items lately that are perfect for the summer – like the sweet heart anklet you see above ($27) and the funky toe rings for a boho vibe. With so many picks, you can also customize what each girl in your wedding party gets, making them feel special but unified at the same time. Looking for a fun way to connect with your girls before the big day? Why not hire an esthetician or two for an at-home mani / pedi party? Of course, such a party wouldn’t be complete without buckets of polish to choose from. I highly recommend Trind, a European cult favourite that’s making a splash overseas. They focus on total hand health, with soothing treatments like their Keratin kits to help strengthen your nails and prevent cracking or breaking, as well as their awesome Cuticle Balsam ($19.95) to prevent hang nails and and dry cuticles. They’ve also got an extensive line of coloured polishes that are three-free from some of the harsher chemicals in other brands. Line ’em up and let your ladies pick their faves to take home or get dolled up on the spot. You’ll easily find shades to match your wedding scheme or your bridemaids’ tastes. If your wedding is taking your bridemaids abroad – even just out to the lake – treat them to a sweet token of your time outside of city limits with a laser engraved luggage tag from Canadian Etsy shop Dina Denuevo. There are actually plenty of styles to choose from, including a sweet one that reads ‘Darling, Let’s Be Adventurers’ and a coordinating set to celebrate your wedding anniversary, meaning you can once again tailor them to each of your gal’s bags or lifestyles. You may even be able to get some custom tags whipped up – just reach out to the shopkeeper for details! I have a general rule of thumb – no one knows makeup better than a makeup artist. Whether you want your bridesmaids to look dewy fresh or classically matte on your wedding day, consider investing in some items from makeup artist Sharon Sharpe-Titus’ amazing line. While I’ve only featured a handful of the beauty products above, the line also encompasses tools and skincare, so you can actually outfit an entire get pretty kit for each of your gals, tailored to their colouring, skincare, and tastes. Free from harsh chemicals, this beautiful collection of products has lavish textures and fabulous colours to pick from, so get shopping! As a lovely piece of good news, in celebration of my blog’s five-year anniversary, we’re giving away an awesome bridesmaid prize package, including a $70+ necklace from Magnolia Jewellery, $100 in Trind products (including their Keratin Treatment Kit, Cuticle Balsam, and 3 Polishes), and $60 in SST Cosmetics (including a Hydrating Lipstick, High Shine Lip Polish, and Silky Eyeshadow). Here’s how to enter for your chance at nabbing over $230 in awesome prizes! 1) First of all! You must be a Canadian Gift Guide subscriber to enter this giveaway. Just find the ‘Gift of Gab’ box on the righthand side of this page and either hit ‘Follow’ or enter your email address. Once you’ve done that, leave a comment below telling me what your favourite bridesmaid gift idea is that was featured in this post. You have until July 4, 2015 to share your pick. 2) Entries are limited to one per person / per email address / per household (or more if you score bonus entries). A random draw will be conducted on or around July 5, 2015 to select the winner(s), who will have 48 hours to respond before another winner is chosen in their place. 4) Bonus Entry: Follow @Magnolia_Silver on Twitter and send out a Tweet that tags them and me (@cdngiftguide) AND links back to this post. Be sure to leave a link to your Tweet in a separate comment below. I think the glass display boxes are the most unique and beautiful gift idea here! I always think that jewellery is a nice touch. You use it that day and then it can be used again. The necklace from Magnolia Jewellery is the best. I like the glass display boxes. Love the glass box!! I can think of so many beautiful pieces of jewelry I would display in it. Since I’m all about nails, I really like the Trind Keratin Treatment for Nails Kit. I love the glass display boxes. 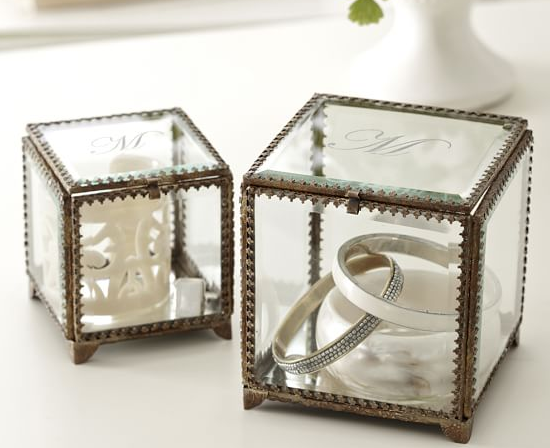 The Elaine Glass display box from Pottery Barn is my pick. It is something you could have forever! The Elaine Glass Display Box. Pretty and useful. I love the Elaine Glass Display boxes. My favourite are the Elaine Glass Display Boxes from Pottery Barn. I think the jewellery is a great idea — something personal that they can wear! The glass display boxes are brilliant, I can see so many different uses for them! 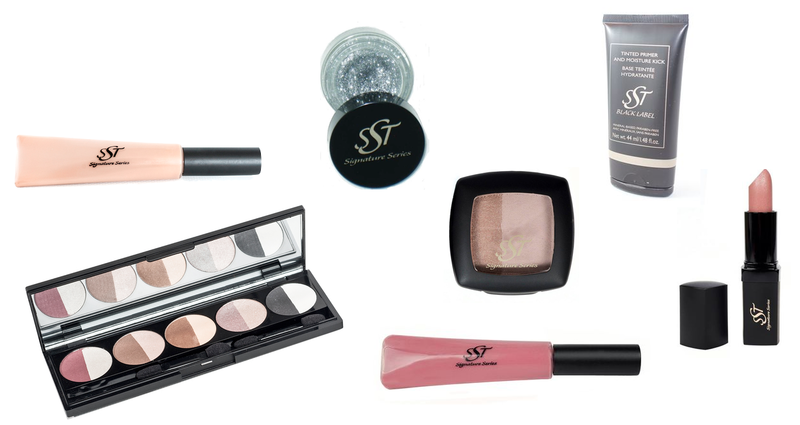 My favourite bridesmaid gift would be the SST cosmetics! Thank you! The glass display boxes or the luggage tags. My goodness both are great. I think they are each useful and fun! I think all brides need the SST cosmetics. I love the Magnolia jewelry as well as the Trind nail treatment kits. I like the SST Cosmetics best. I like the jewellry and the display boxes best. Both would be wonderful thank-you gifts. I think a keepsake like a piece of jewellry makes a lovely gift for a brides maid, the Magnolia Silver Jewellery is very delicate and beautiful. The glass display boxes add a nice touch. I like the luggage tag! I love the jewelry option cause it’s timeless and memorable. I like the Magnolia Silver Jewellery. My favourite is the Life is a Journey luggage tag. I am a subscriber. 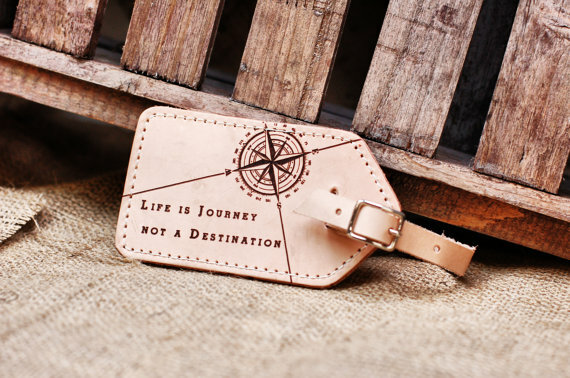 My favourite bridesmaid gift idea is the Life is Journey Luggage Tag. I love the heart shaped earrings from Magnolia Jewellery! I think the Trind Keratin Treatment for Nails Kit would make a great bridesmaid gift! All nice but I like the glass display boxes the most. my favourite bridesmaid gift idea would be something from Magnolia Jewellry. I think the Life is Journey Luggage Tag is the nicest gift. 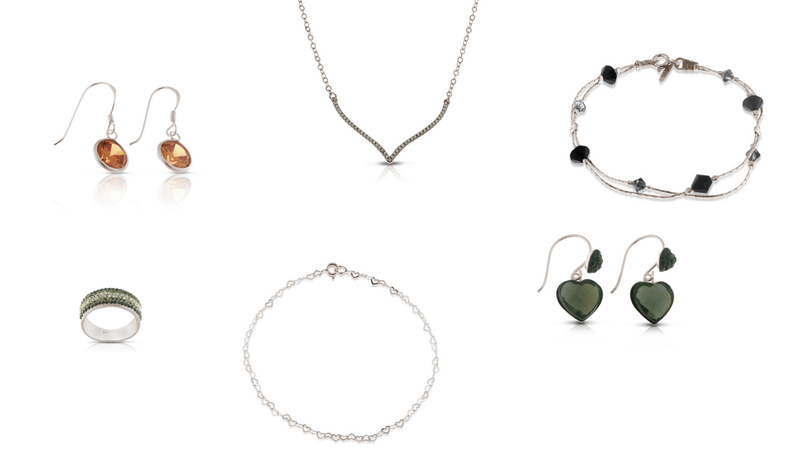 I love the Magnolia Silver Jewellery as a gift idea! I love the Magnolia Silver Jewelry! Would make a wonderful gift! My favourite gift idea is the luggage tag. I just love the message on it, and I think it would look awesome on my different types of luggage. I like the Trind Keratin Treatment for Nails Kit gift idea. The SST cosmetics set is great and super useful. I like the pretty glass display boxes. I think the Pottery Barn’s Elaine Glass Display Boxes are a wonderful keepsake! I like the Elaine Glass Display Boxes from Pottery Barn. So pretty and unique. I love, love, love the Magnolia Silver jewelry. Beautiful. I like the Trind Nail treatments. I’ve been seeing it around a lot lately. It looks like a quality product. Looks like a lot of great products that I would love to try! I think the ring would look great on a freshly manicured hand. The highlighted nail products look great. I like the Elaine Glass Display Boxes the best. 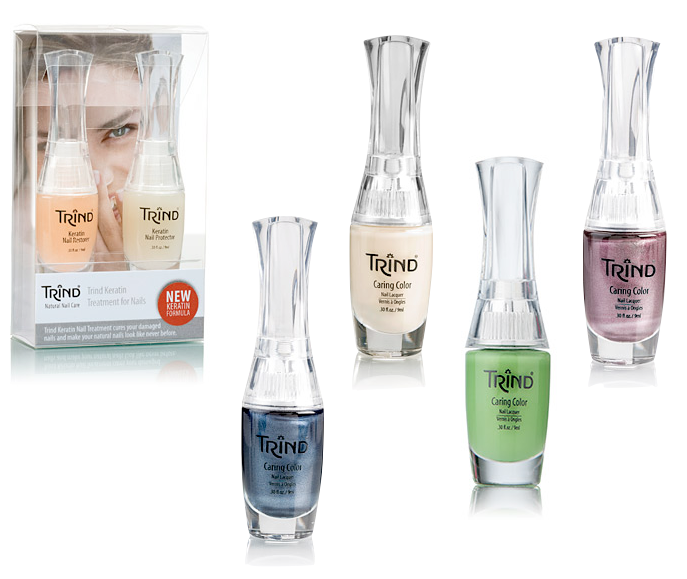 I really want to try the Trind Keratin Treatment for Nails Kit!! Great gift idea! I love the sterling silver anklet bracelet made of little hearts. I would like to try the trend polish sounds great. My favourite gift idea featured in this post was the Elaine Glass Display Boxes. They are lovely and you can put absolutely anything in them. My Favourite is the Trind Keratin Set. I think it would really be great for my friends’ nails. Love the Magnolia jewelry – every time the bridesmaids wear it they’ll remember the happy event. also: shiny. My favourite gift that was featured was the Trind Keratin Treatment for Nails Kit. My favourite gift on this post is Elaine Glass Display Boxes,they are very classy to show off your perfect jewelry or trinket. I like the glass display boxes the best ;verynice. Learned about @Magnolia_Silver at Canadian Gift Guide @cdngiftguide http://t.co/qGhGraMaor. Nice items – will have to show my gf. I think the bridesmaid boxes are so unique.